In today’s business world social media is fundamental to reaching your target audience and engaging with existing customers. Data suggests that upwards of half of online traffic is now driven from the likes of Facebook and Twitter, not just search engines. Therefore you cannot afford to pass up on such an opportunity to drive targeted traffic to your website. 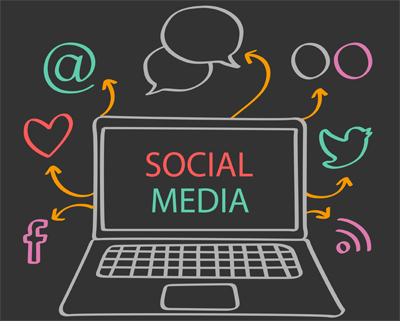 Implementing a professional social media marketing strategy will build awareness for your brand, improve your online reputation, and ultimately lead to more sales. However simply registering accounts and making a few posts is not going to cut it. At Web Marketing Army our primary aim is results, and we will work closely with you to ensure that your social media presence is a success. With many years of experience with all types of clients, we are confident that we can make social media work for you! 1) Build more awareness for your brand through a professionally managed presence on major social media platforms. 2) Create a friendly and engaging relationship with potential and existing customers, improving the reputation of your brand. 3) Regularly interact with the local and international community by sharing valuable and interesting articles, photos, news and videos that are related to your business. 4) Increase the amount of targeted hits your website receives by promoting your products and content in a professional and engaging manner across all social media accounts. 5) Generate leads and sales from your social media followers. 6) Give you the free time to continue growing your business, while we use our years of experience to professionally manage all aspects of your social media marketing strategy. 1) Generate over 1000 organic (genuine) “Likes” per month on Facebook. 2) Share your Facebook posts so over 10,000 users will see them each week. 3) Publish 01 engaging and unique post each day on Facebook, Google Plus, LinkedIn and Twitter, which will be targeted and related to your business. 4) Follow an effective 80/20 ratio for social media posts – meaning 80% of posts are relevant and engaging to your target audience in the form of articles, photos, news and videos, and 20% of posts are direct promotions and announcements directly related to your business. 5) Maintain and update profiles on Facebook, Google Plus, LinkedIn, Twitter, Pinterest, Youtube and Instagram. 6) Engage directly with fans and followers by replying to their comments and queries, and encouraging them to interact with us through offers and contests. 7) Design and publish effective announcements, special offers and promotions on Facebook, Google Plus and Twitter. Give us a call at +94 76 6683534 or an email at info@webmarketingarmy.com and we will assist you to achieve your goals.